We are proud to announce Aston Matthews as the newest client joining the Support Tree family. We are delighted to have been selected by our new client to support all their IT requirements. 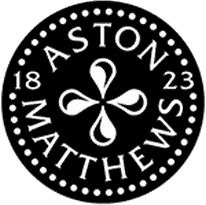 Celebrating their 195th anniversary this year, Aston Matthews is a growing specialist bathroom retailer in London. They have been based on Islington’s Essex Road since 1823 and have recently expanded to a second showroom in Guildford, Surrey. Our team has been hired to help Aston Matthews manage technical requirements to grow productivity, efficiency and functionality. Support Tree provides IT support in London for SMEs, and we’ll be managing all IT responsibilities, including IT consultancy. We will support Aston Matthews in achieving their goals through our wraparound IT service – Select 360°. IT support for retail companies is not a new encounter for us. In our 15+ years of experience, we have supported various retail businesses. Select 360° is our core IT support offering that fully encompasses all the technological needs of SMEs. At Support Tree, we know that businesses are ever managing the demands of business growth while coping with continuous technology challenges and changes. We’re here to help improve your productivity and accelerate your business growth. To find out more about our fully-managed technology offering, read more here. To speak with a technology consultant, contact us here.